Millennia have passed on Arrakis, and the once-desert planet is green with life. Leto Atreides, the son of the world’s savior, the Emperor Paul Muad’Dib, is still alive but far from human. 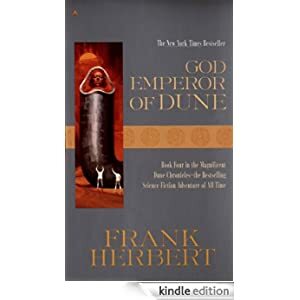 To preserve humanity’s future, he sacrificed his own by merging with a sandworm, granting him near-immortality as God Emperor of Dune for the past 3,500 years.